Last weekend on a search to find an organic potato with which to start the yeast, we called in Bushy Park Market. No success with the potato, but on the shelf was a 6.5. litre slow cooker for a mere $12. It looked in good order, so bought it (later check showed it was fine electrically). I’ve often been asked if my slow cooker recipes can be converted for a larger cooker, so here was my opportunity to check it out. The last of our pumpkins has been sacrificed to trial this. I’ve used the herbed pumpkin and bacon soup for Slow Cooker 2, and doubled it, using 1.6kg pumpkin. Should be fine, though I think it might take longer to cook, given the extra volume of ingredients. If you do double recipes for a larger slow cooker in this way, just be sure not to overfill it. It should only be filled to a maximum of 3cm from the top. No more than three quarters full would be even better. 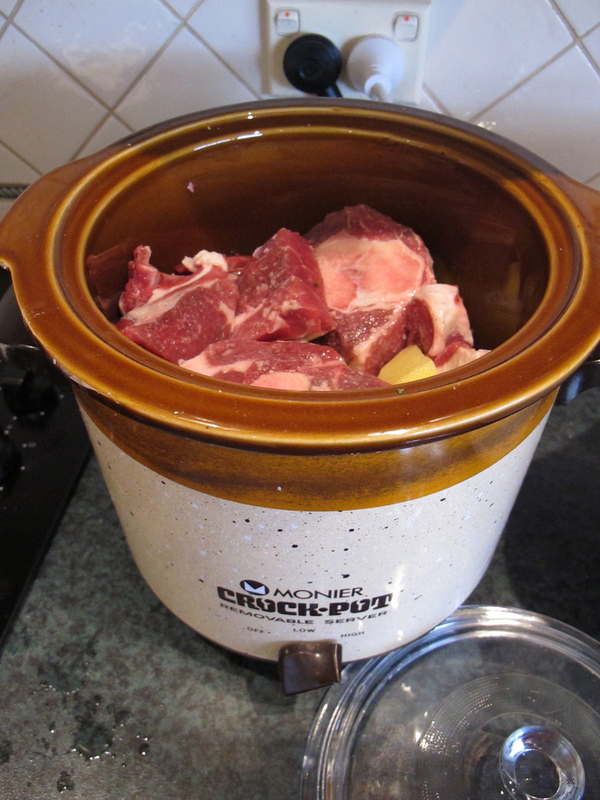 Thoroughly in the mood for slow cooking now, I’ve pulled out an old crock pot, as slow cookers used to be called. Actually, I think they do cook a little slower than the modern version but generally not enough to matter. I’d been given some delicious stewing chops by a friend and so now an old-fashioned Irish Stew is also on the menu for dinner tonight. 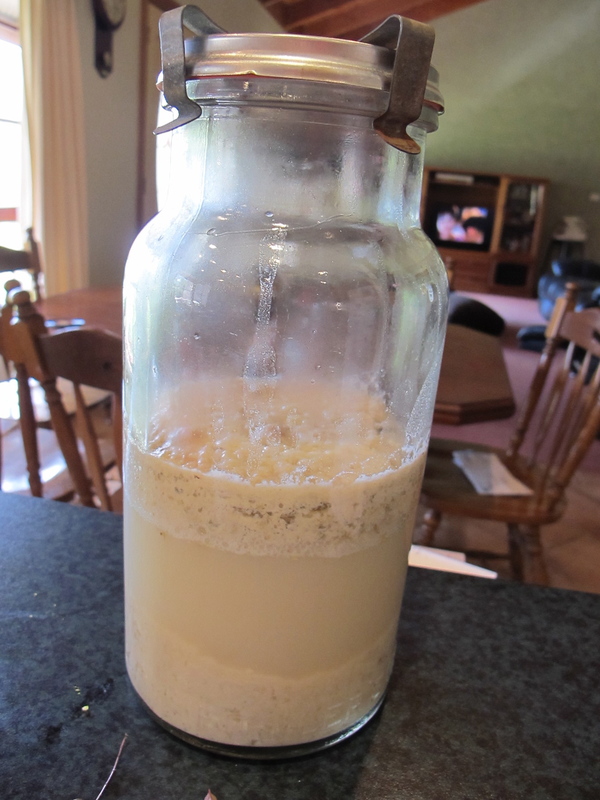 Meanwhile the yeast plant is going a little crazy and had to be transferred from its 1.25 litre container to a much larger Fowlers jar until I could get a 2 litre soft drink bottle. A ginger beer plant has nothing on this beauty. Since I took this photo I’ve transferred it to a 2 litre Coca Cola bottle and it’s so vigorous that I thought even that would blow up. Had to go to a meeting this evening and took it with me to unscrew the top now and then to let excess pressure escape. Each time I did this it let out a rather alarming alcohol scent into the room. I’ve just used some for an overnight ferment as the recipe instructs, but it is rising so rapidly that I’m not quite sure if it will overflow from the bowl before morning. As for what’s left in the Coke bottle – well, that’s still a worry, so I got Robert to drill a hole in the lid to let any excess pressure escape. All things considered it will be interesting to see how the bread turns out tomorrow.